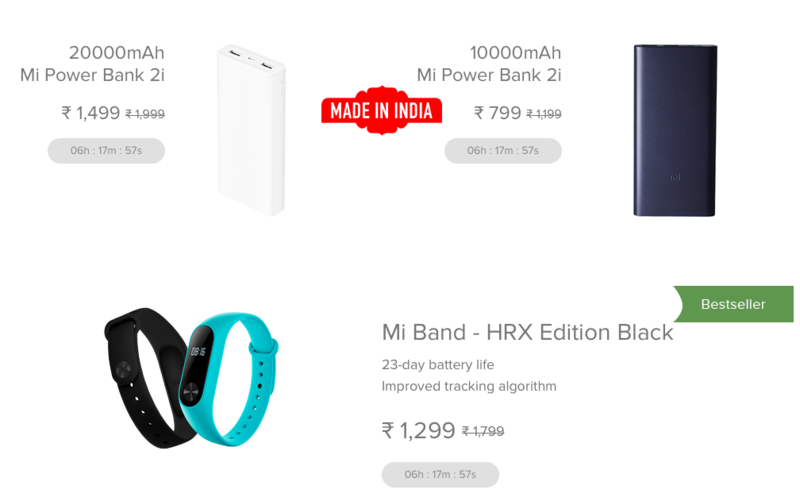 Xiaomi’s No.1 Mi Fan Sale: Big Discounts On Smartphones & Accessories! To celebrate the many good things happening for them, Xiaomi have announced a 2-day, No. 1 Mi Fan Sale. Xiaomi is having a great year so far. It tied with Samsung for the no.1 smartphone manufacturer in India this year. Also, it is all set to surpass its revenue predictions of $2 billion for this financial year quite easily. Xiaomi has already set up its smartphone and non-smartphone manufacturing base in India. This has helped Xiaomi maintain its smartphone prices at the same levels even after the government increased the import duty to 15%. Perhaps to celebrate the many good things happening for them, Xiaomi have announced a 2-day, No.1 Mi Fan Sale. During this sale there will be heavy discounts on Xiaomi’s smartphones and accessories. Xiaomi will also hold their famous Re. 1 Flash Sales on both the days of the sale. The sale will be live on the Mi Store mobile app and Xiaomi’s website. So, what can we expect in this latest sale from Xiaomi? 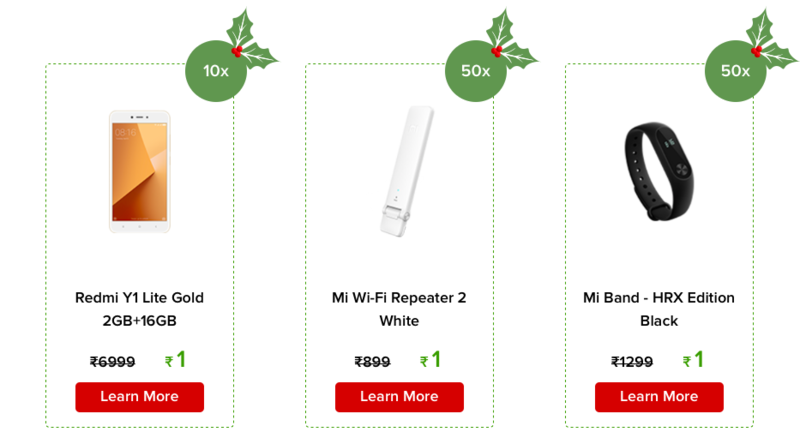 The No.1 Mi Fan Sale is a part of Christmas and New Year celebrations from Xiaomi. The sale will start today at midnight i.e. 20th December and will go on till the midnight of 21st December. Xiaomi has been teasing the red version of the Mi A1 for quite some time now. It will officially go on sale from 20th December and will be available at a discount in this sale. Let us take a closer look at the offers and discounts from Xiaomi is giving in this No.1 Mi Fan Sale. The Re.1 flash sale will be held at 2:00 pm on both the days of the sale. As you can see, the quantities are limited. The ones with the fastest fingers will be able to get their hands on these goodies for Re.1 only! Xiaomi is starting the sales of the Special Red Edition of the Mi A1 during this sale. This one is going to be in high demand because it is red, it is a limited edition and it will be available for only Rs. 12,999/-! It will be available through Mi’s mobile app and website. The Mi Mix 2 will be available at Rs. 32,999/- after a hefty discount of Rs. 3,000/- on the original price. The 4GB + 32GB version of the Mi Max 2 will be sold at Rs. 12,999/- and the 4GB + 64GB version will be available at Rs. 14,999/-. The Redmi Note 4 will be offered starting at Rs. 9,999/- after a discount of Rs. 1,000/-. Redmi 4 will be sold for Rs. 8,499/- and the Redmi Y1 Lite will be available at Rs. 6,999/-. In addition to smartphones, Xiaomi is offering heavy discounts of upto Rs. 4,000/- on its original Accessories, Essentials and Smart Home Solutions. The sale goes live at midnight tonight on Xiaomi’s Mi Store App and their website. Which offer has excited you the most? Do let us know in the comments below.